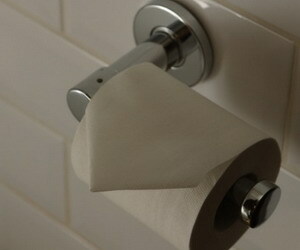 Constipation can be a symptom of the disease, but more often due to lifestyle. Constipation is almost ever experienced by everyone. Many factors can cause constipation. Dietary fiber less food, less drinking, lack of exercise, and dependence on laxatives, stroke, and colon problems, can all be causes. The first step to relieve constipation is doing to alleviate dehydration rehydration. If you are less liquid, then the stool will be hard and difficult to get out. Increasing fluid intake is actually a step that is easy and inexpensive, but many people forget to drink. To get adequate fluid intake, you can drink between meals. It takes an extra liter of water than the amount that you normally take to improve bowel function. Expand drink water, because soft drinks or coffee is not the same quality as regular water. If you are drinking more than 3 liters but still having constipation, dehydration probably not the cause of your constipation problems. The next step is to relieve constipation by increasing physical activity. If you sit at a computer all day, then go home and watch TV after dinner, to be sure you are moving your body. You can add physical activity to exercising regularly. One movement that helps is to bend and twist your back and abdominal muscles. The movement can stimulate the intestines or bowel movements easier and smoother. Another benefit of exercise is that you'll feel thirsty so they can add more water intake. Many people who suffer from constipation because they delay or hold back defecating. This is contrary to the system of the body. Therefore, the third step to relieve constipation is to avoid delaying or withholding to defecating when you feel want to defecating. Eating more fiber in the daily diet is one step that you should do to relieve constipation. Eat more fruits and vegetables, and reduce milk and meat. It can help relieve constipation that you may experience. Processed foods or packaged foods have a certain shelf life and usually contain preservatives that are not good for digestive health. 6. Limit the consumption of foods and medications that can cause constipation. There are some foods that can cause constipation, for example, is bread made from white wheat or dairy products, meat, eggs, cheese and processed foods. Similarly, drugs such as antacids can also cause constipation. Therefore, limit your consumption of foods and drugs.